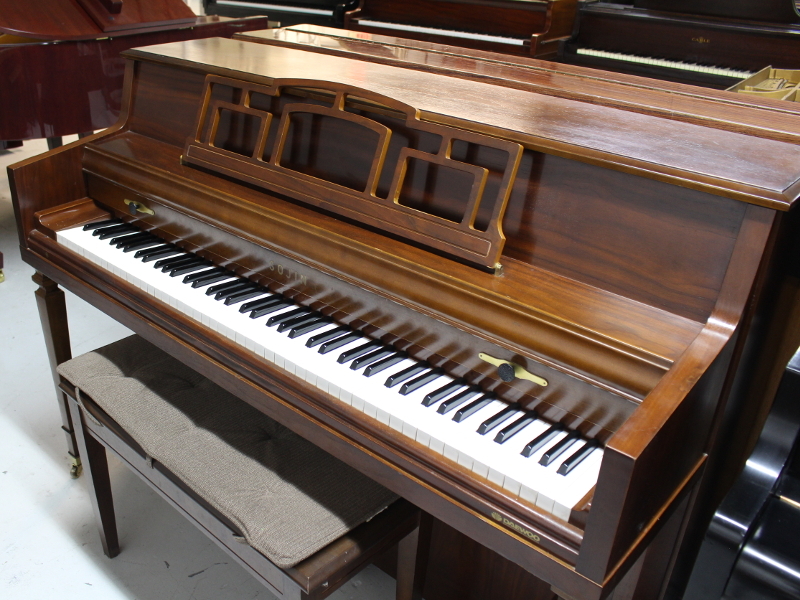 For many years, the console piano was a staple of the American home. The small sizes and ornate woodwork associated with these pianos contributed to their popularity before the prevalence of digital entertainment options. This Sojin Console is well regulated and in fair condition. It is a great instrument for the space conscious pianist or student and can be traded in for 100% of its purchase value for up to 5 years!